Andrey, 30, is kneeling in the snow and carving up a reindeer carcass with a traditional knife, barehanded in the freezing wind. It’s minus 31 degrees Celsius, almost 3 p.m., and the polar day is waning. “Life as a reindeer herder,” he jokes, “is only difficult the first 50 years.” Andrey is one of a few dozen men who perpetuate the ancestral craft of reindeer herding on the Kola Peninsula in Russia’s northwest Arctic region. Andrey lives in Lovozero, a charming village of 3,000 inhabitants that is isolated in the middle of the tundra, 165 kilometers from Murmansk, the regional capital. He identifies as a Sami, the oldest indigenous group on the peninsula. 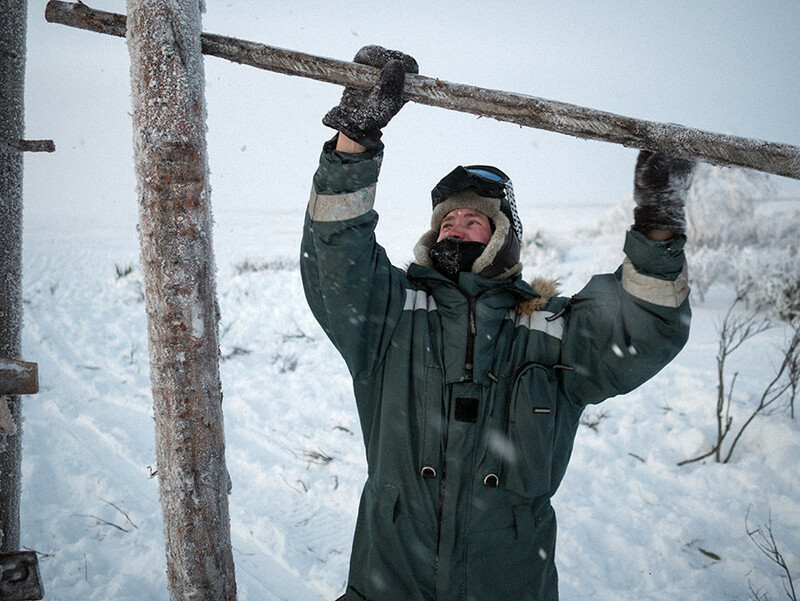 In Lovozero, Sami live in harmony with other ethnic groups, including Komi, Nenets, Russians and Ukrainians. They share the reindeer as a symbol of survival and thriving in the Far North. About 20,000 reindeer graze in the Lovozero area, supervised by the Tundra cooperative, where Andrey works. This unique local community, nested in a most challenging environment, striving to navigate between tradition and modernity, has much to teach the world about alternative forms of wisdom, adaptation and sustainability. Humans have survived thousands of years on the Kola Peninsula by following the annual migration of reindeer across hundreds of kilometers, up to the shore of the Barents Sea and back inland. 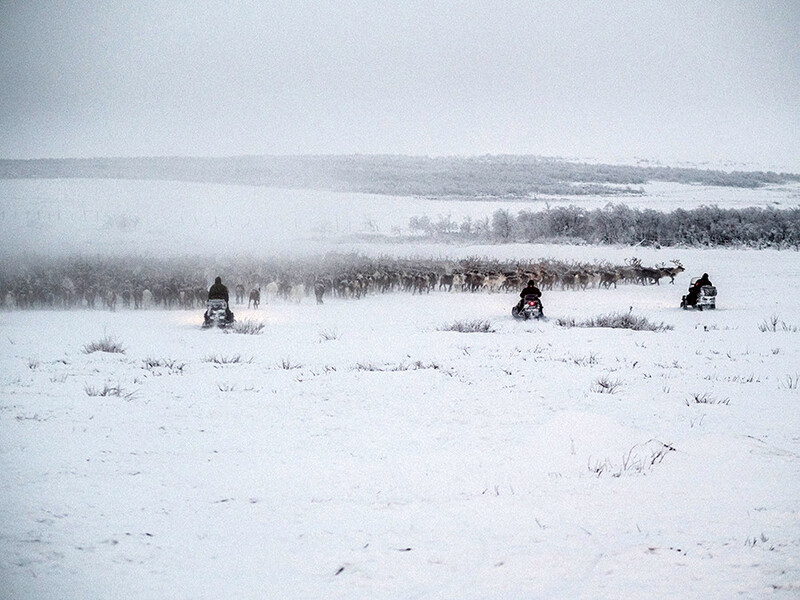 Today, the Lovozero herders have settled and live in the village, but they still spend weeks – sometimes months – away in the tundra to watch the herds. In the Arctic, survival is a matter of knowing your environment and your place in it. At the height of winter, the sun never rises and daylight lasts for about four hours. On clear days, it colors the white landscape with magical shades of pink, blue and green. Temperatures can go down to minus 40 degrees on the Kola Peninsula, and the weather changes by the hour. 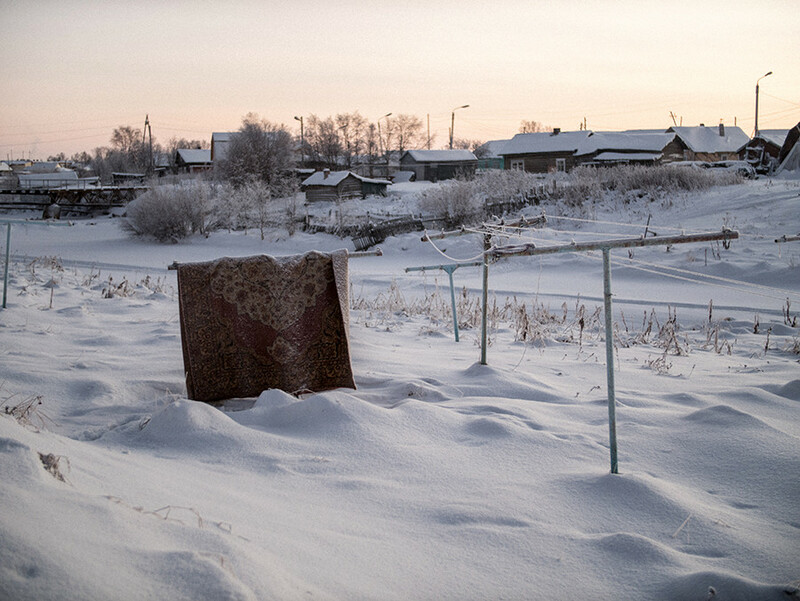 The village of Lovozero itself has a particular atmosphere, different from other remote Russian settlements. There is a strong sense of community, social cohesion and shared history. People cherish the memory of their reindeer herding ancestors and pride themselves in teaching their children how to connect with the surrounding nature. There are no free meals in the tundra. When you eat a piece of reindeer meat, you know how much labor went into it. You taste the berries and the grass that the deer grazed on over the summer near the seashore. 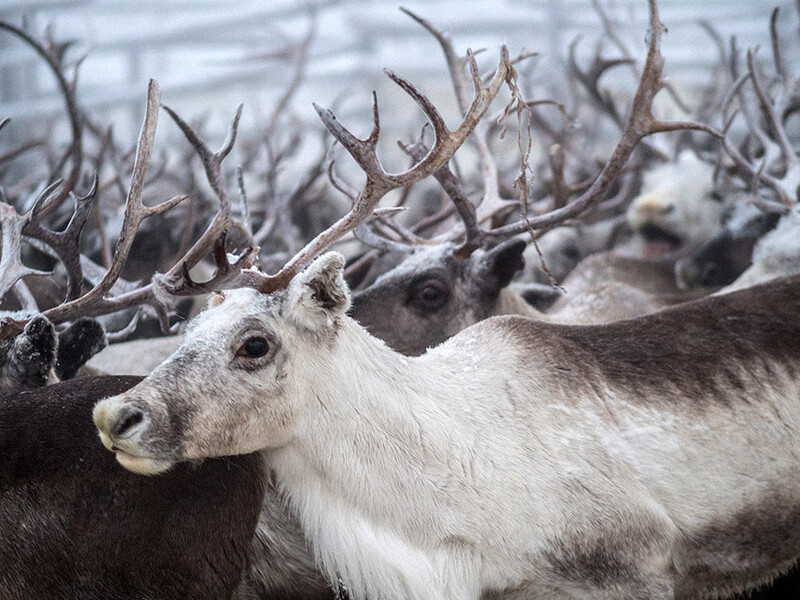 Reindeer herders eat the meat of the animals that they slaughter themselves. “This is the white male from Dec. 27 in Polmos,” Maksim indicates as he cooks for his guests and recalls with pleasure how fat the calf was. The most delicious parts are the tongue, heart, liver and marrow. Entrails are fed to the dogs, and skins are sewn into clothing. 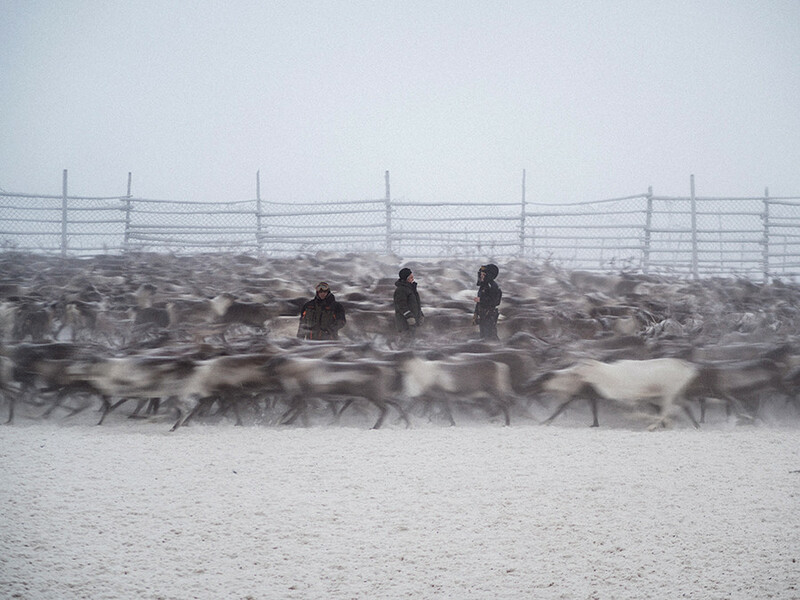 Reindeer herders live in a cyclical world that makes sense. They do not feed off the local ecosystem – they are part of it. Every moment, every gesture is connected with the clean sky, the tundra and the life cycle of the reindeer. Every piece of art celebrates this holistic ensemble in which humans and reindeer sustain each other in a challenging, but generous manner. 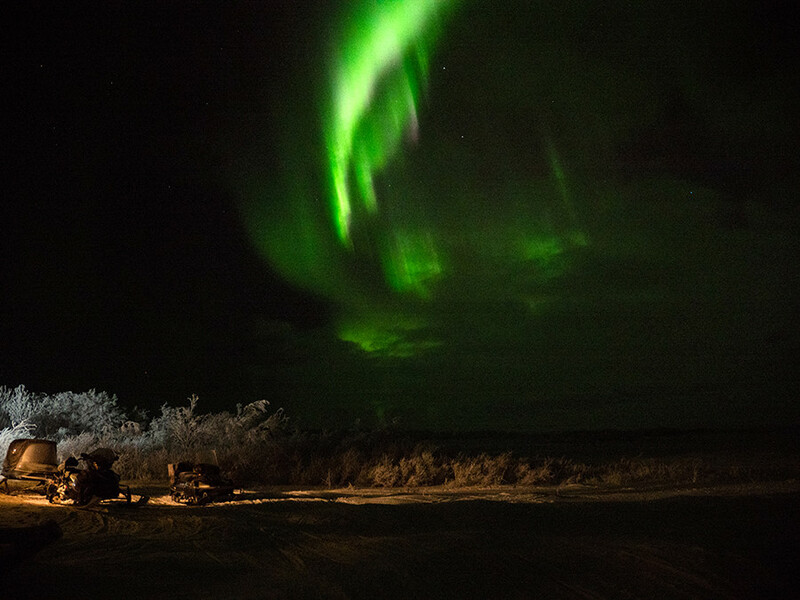 And when they go to sleep after a hard day’s work in the cold and the dark, the herders of the Kola Peninsula close their eyes to an immense night sky in which a mysterious aurora shines, as a reminder that this truly is the best place in the world. Lovozero is preparing its next generation. 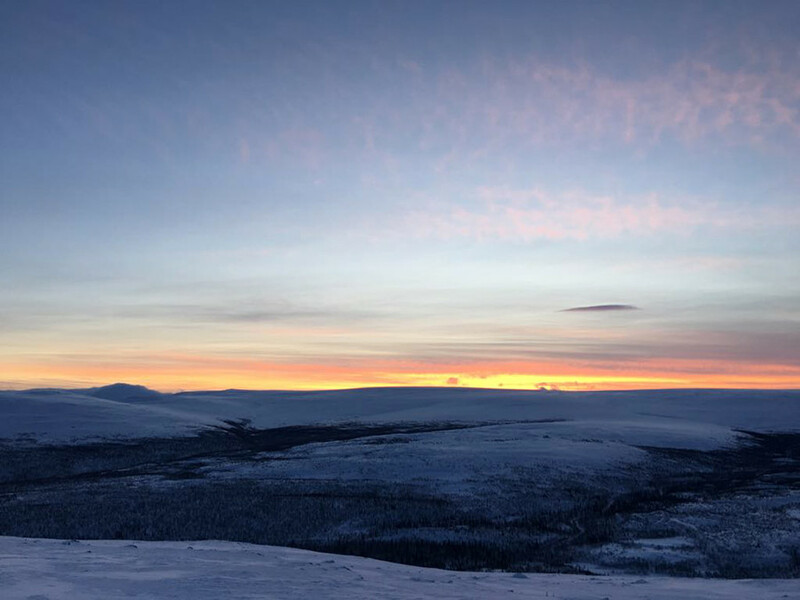 In the past decade, local Sami and Komi have been reinventing their indigenous identity, which started to wane in the 1960s, and to transmit their proud heritage to their children. Everyone is heartily contributing. Svetlana, 50, raises huskies on her farm. In the evening, she runs free courses for local teenagers. The community has adapted through much structural change in the past century. 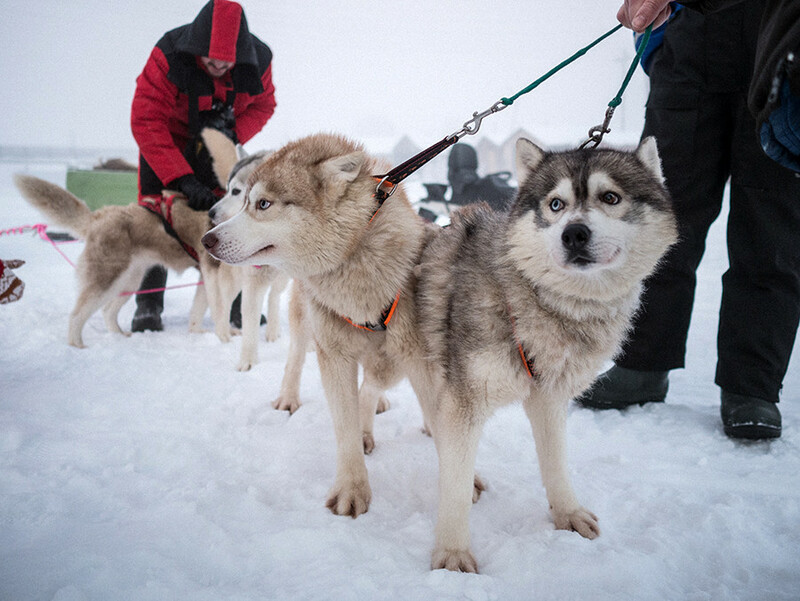 “Tundra” is now searching for ways to modernize and offer herders better working conditions. Navigating global markets is difficult, and like elsewhere in Russia, the economic crisis is weighing on Lovozero. If salaries keep going down, reindeer herders will eventually be forced out of the tundra. At Tundra, Andrey is optimistic. He is pushing to obtain export licenses that will allow the cooperative to sell finished reindeer products in Europe and to collect a fairer share of the revenue. He envisions a future where reindeer meat will be differentiated by area, producer and vintage, just like French wine.